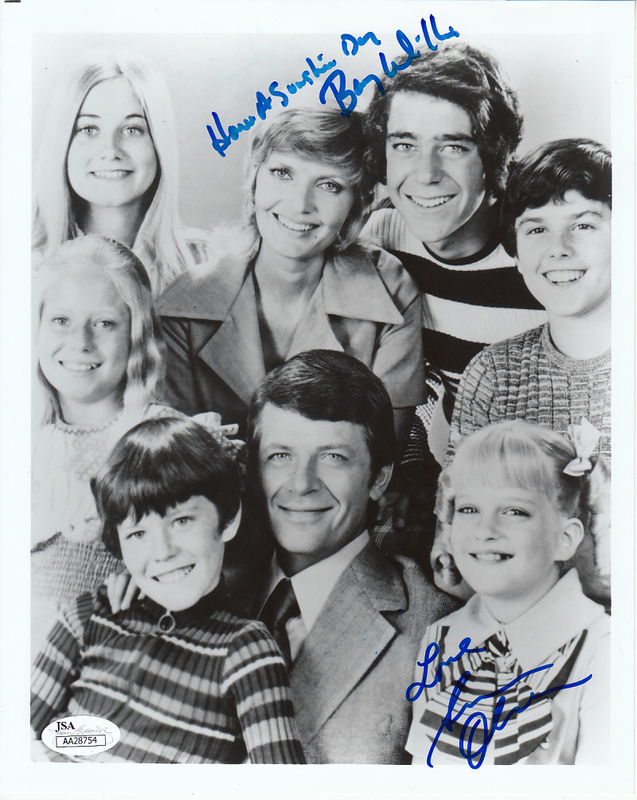 Original vintage Brady Bunch 8x10 black and white cast photo autographed in blue marker by stars Susan Olsen (Cindy) and Barry Williams (Greg). Susan added Love to her signature while Barry added Have A Sunshine Day. Obtained in person. Authenticated by JSA, with their matching numbered sticker on the photo and certificate of authenticity card. ONLY ONE AVAILABLE FOR SALE.